Considered by some hobbyists to be one of the more elaborate and distinctive card sets of the early Twentieth century, Ramly cards are definitely a relic of the Gilded Age that produced them. In that respect, it is one set from the pre-World War I era that definitely looks the part. Ramly was the name of a brand of cigarettes that had an interesting story. 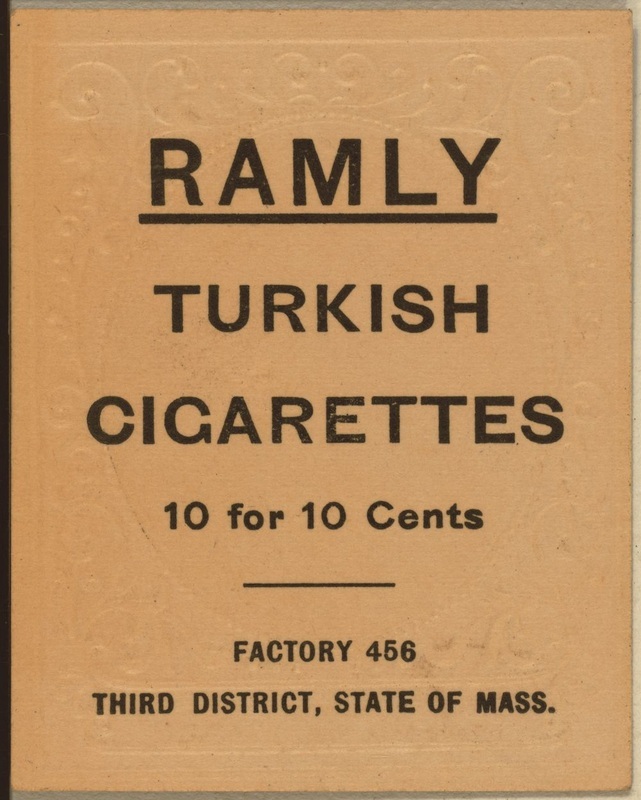 During the period where Turkish tobacco was becoming popular, one of the many Arabian-sounding brand names was Ramleh, which was a big seller. A small tobacconist in the Boston area introduced a new brand called Ramly to capitalize on that. As a result, the company that made Ramleh cigarettes had to reverse the order of the letters to Helmar due to their impacted sales. Ramly was only one of the brands that included T204 cards in their packages. Another brand called T.T.T. had them as well, but that back advertisement is quite scarce. Card fronts show a head and shoulders player portrait in an oval frame. There is an elaborate gold embossed design that really makes the card stand out. The player's name, team name and position appear below the picture. Card backs contain cigarette brand advertising. 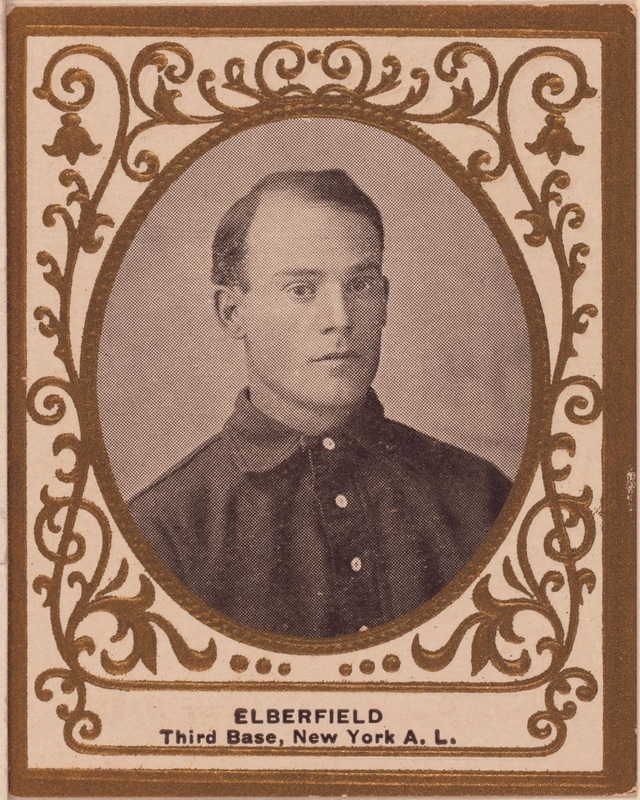 There are 121 cards in the set, and six (John Anderson, Frank Bancroft, William Bransfield, Jesse Burkett, William Dineen, Pat Moran) can also be found with square frames. Those variations are incredibly tough to find. The card below was downloaded from the Library of Congress. Description: 1 photomechanical print : halftone and stencil. Medium: 1 photomechanical print : halftone and stencil. 1909 T204 Ramly Cigarettes Medium: 55 photomechanical prints : halftone and stencil Dimensions: ca. 2.5 x 2 inches This set features black-and-white photographic portraits surrounded by ornate gold-embossed frames and borders. Set Description: Issued by Ramly and T.T.T. Tobacco in 1909 the fronts are black & white photo with a gold embossed frame. The backs have either company's advertisement. These cards are not numbered. The bottom appears the player's last name, position team While issued with both Ramlys and T.T.T. brand Turkish tobacco cigarettes, the 121 cards in this set take their name from the more common of the two brands. By any name the set is one of the more interesting and attractive of the early 20th Century. The 2-1/2" by 2-1/2" cards carry black and white oval photographic portraits with impressive gold embossed frames and borders on the front. Toward and league. The backs carry only the most basic information on the cigarette company. Due to their scarcity, the Ramly set is not widely collected. The complete set price does not include the scarce variations.